Data analytics and insights company NICE announced a new strategic partnership. The Israel-based company has teamed up with Brightstar India, a subdivision of Brightstar Global that manages mobile devices across the wireless ecosystem, reports Julie Muhn at Finovate (Banking Technology‘s sister company). 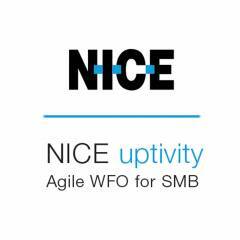 The partnership will support the launch of NICE Uptivity, a workforce optimisation solution for small-to-medium sized businesses (SMBs). NICE Uptivity offers tools such as quality assurance, speech and data analytics, coaching, and customer surveys. The tool’s modular structure allows for custom configurations that are tailored to scale to individual businesses. The companies will launch NICE Uptivity to mid-market organisations in India, Sri Lanka, Bangladesh and Nepal. Darren John Rushworth, president of NICE APAC, says the partnership is about “bringing the market leading WFO suite for SMEs to the Indian and South Asian markets”. NICE’s 6,500 employees work in 35 offices across the globe. Founded in 1986, the company serves 2,500 customers, 85% of which are Fortune 100 companies. Among NICE’s clients are Alliance Data, Walgreens, and Capital One. Earlier this month, NICE earned its status in the risk management category of Amazon’s AWS financial services competency programme. In July, the company teamed up with Tableau Software to launch a visual analytics solution.